Special shout-out to Arlington Proud, especially Amanda & Wendy, for doing an incredible job organizing EMAF 2017. Also, BIG thanks to those of you that came out! 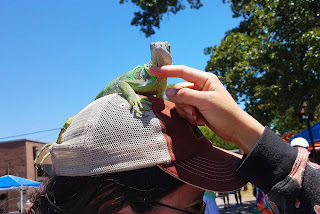 We had lots of fun and met so many exciting people and pets. Live long and prosper. Fun Fact: Jazmin has a crippling fear of lizards. 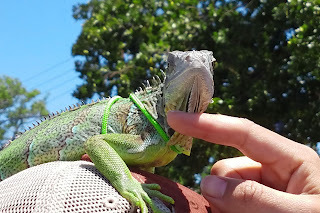 When we both spotted this cutie iguana she, somehow, summon the courage to pet the cutie pie. (These pictures are proof to document the encounter.) She's so brave! How cool is that? !